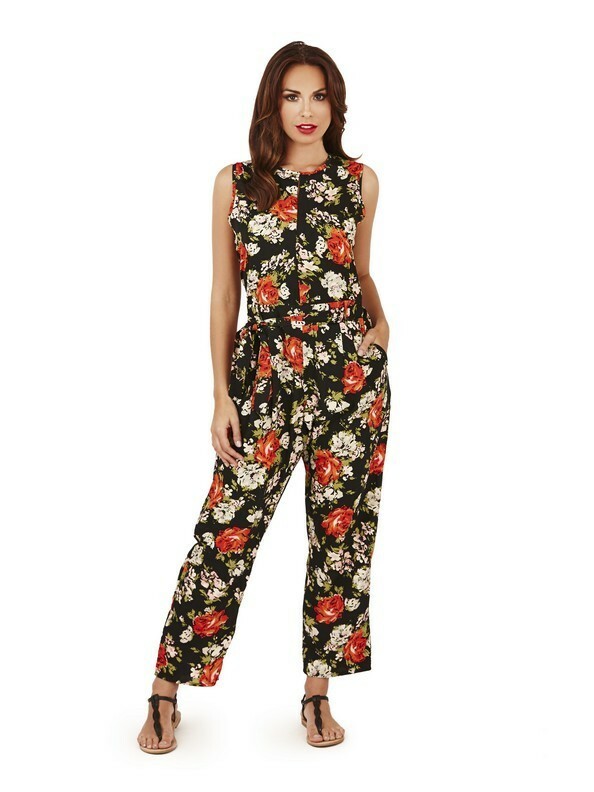 Ladies floral black and red rose full length jumpsuit. Ladies floral black and red rose full length jumpsuit. Featuring all over floral rose print, tailored leg and zip back. Available in S,M,L,XL. Comes in packs of 12.